Everyone knows the old saying of "time flies when you’re having fun", and that certainly seems to apply in this instance as it seems like only yesterday that Apple announced the launch of the iPad 2 in San Francisco. It has however, been twelve months since the introduction of the second-generation tablet, meaning Apple have once again taken to the stage in familiar surroundings and introduced the tablet loving world to the marvelous new iPad. Tim Cook and his team took to the stage in the Yerba Buena Center for the Arts and as usual, walked us through the device which I am in no doubt will change everything, again. While most people will be working out their purchasing strategy and deciding whether or not to queue up at their local Apple Retail Store, or just wait until the hype dies down before purchasing the new iPad, a dedicated subset of users and researchers are already wondering what benefits they can get out of a jailbroken third-generation iPad. Developers and security researchers in the various development teams will be preparing themselves once again for the cat and mouse game to begin, eagerly waiting to get their hands on this new hardware to see what, if any, security measures Apple have added in an attempt to prevent the device from being exploited. iPhone 4S and iPad 2 users will be familiar with the challenges the development teams faced when trying to produce a full, distributable untethered jailbreak for those A5 devices and with the latest iPad featuring an improved processor, the hope is that the same challenges aren’t faced again. The ultimate release of the ‘Corona’ jailbreak came after some of the finest jailbreak talent came together to form what security researcher Pod2g called the jailbreak ‘Dream Team’, featuring members of the Chronic and iPhone development teams as well as legendary developer PlanetBeing and even being assisted by Jay Freeman, the creator of Cydia. 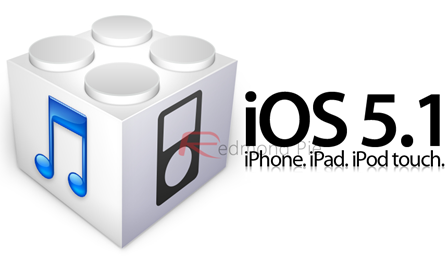 So what are the options going forward, and what can the jailbreak community expect in the way of an jailbreak for iOS 5.1? Unfortunately, until the teams involved investigate the device and attempt to apply the same working methods to it, not a great deal can be determined. The ideal solution would be that the same ‘exploits-within-exploits’ will be enough to give us a quick, hassle free jailbreak solution, but realistically this is unlikely to be the case. With Apple pushing out various developer builds of iOS 5.1 in the time since the Corona jailbreak has been released, it is almost guaranteed that the user land exploits used will no longer work. In the past, we have seen the development teams use a data page to bundle the untethered payload onto the device, but unfortunately, as of iOS 5.0 Apple now requires that data pages need to be signed by Apple before the Mach-O loader will authenticate the binary. French researcher, Pod2g, does hold out some hope for an iOS 5.1 jailbreak as he believes that German analyst, Stefan Esser (@i0n1c), may hold the key to pass through that verification process, but only time will tell on that one. 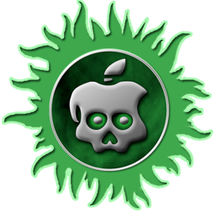 With the Absinthe jailbreak tool in its infancy, it would seem that we will see the continuation of the jailbreak dream team working together in an attempt to find the quickest possible jailbreak solution for the new iPad, which will more than likely result in an update for one click Absinthe solution.